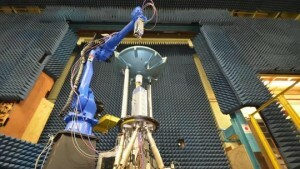 The National Institute of Standards and Technology (NIST) has been pioneering antenna measurement methods for decades, but a new robot may be the ultimate innovation, extending measurements to higher frequencies while characterizing antennas faster and more easily than previous NIST facilities. 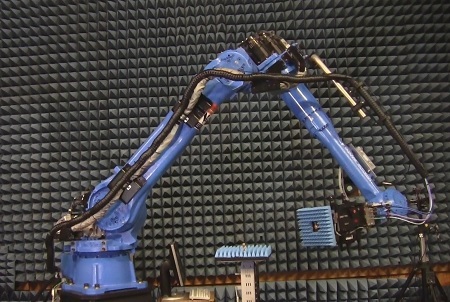 The robot—actually a robotic arm of the type used in manufacturing—will be used to rapidly and accurately measure the properties of antennas used in advanced communications, remote sensing for weather prediction and climate monitoring, imaging systems and radar. 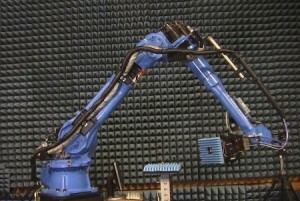 NIST researchers came up with the idea for the robotic arm in 2011 as a means of meeting the demands posed by new, high-frequency antennas. 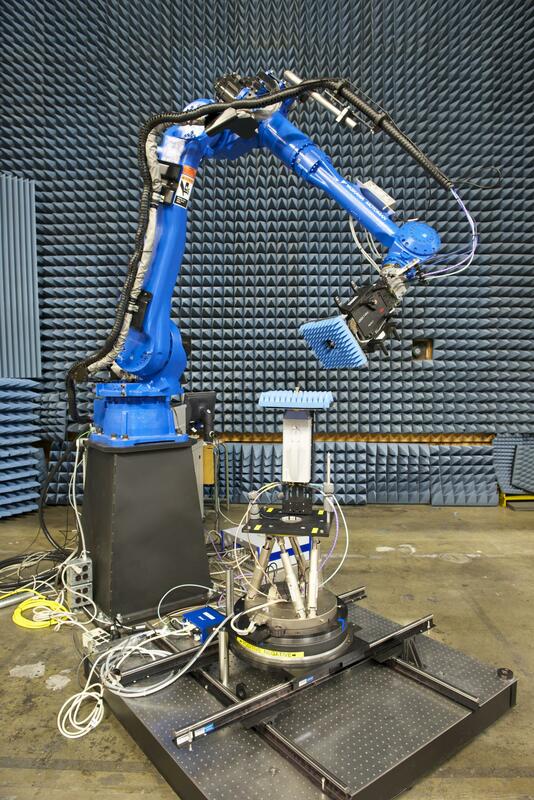 The robot has now been validated and is being used to serve NIST customers. 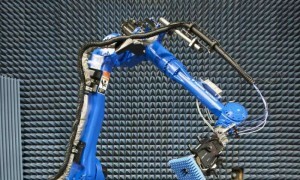 Officially introduced in a new paper,* the robot’s formal name is the Configurable Robotic Millimeter-Wave Antenna (CROMMA) facility. Robotics is the latest advance in the widely used near-field scanning technique, pioneered by NIST in the 1970s. ** The method uses complex mathematical models to determine antenna properties and calculate performance at long distances—where it counts—using data collected indoors close to the antenna, where it’s easier to get accurate readings. 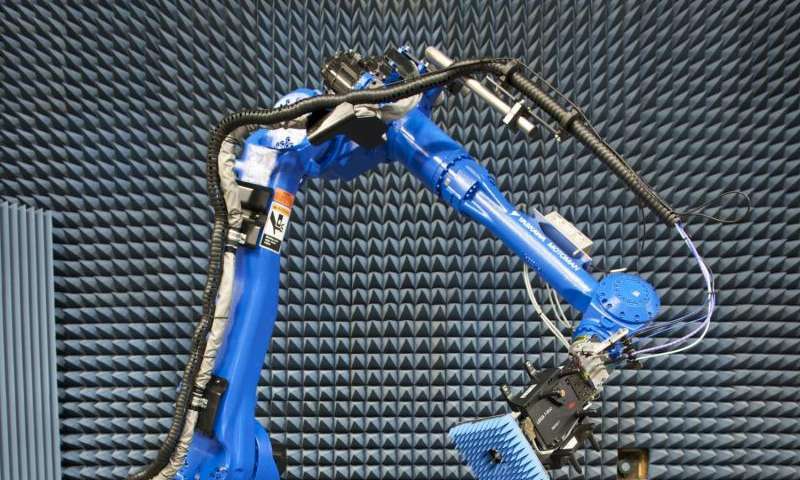 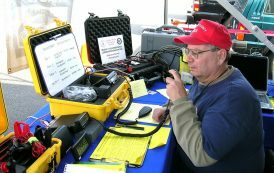 Near-field scanning allows researchers to assess an antenna’s gain (signal power transmitted or received), polarization (orientation of the electromagnetic field) and pattern (angular distribution of transmitted or received energy).